I Am Committed to Your Health. Allow Me to Help You Feel Better Today. Call or Text Me Immediately and Book an Appointment. Back pain is so common and so unrelenting that for many it’s that constant “nagging pain” that keeps knocking on your door at the most inopportune times. You try to ignore it at first, but, try as you may, its persistence gets the better of you. Total Care Chiropractic’s mission is to identify and eliminate the source of the problem, not just the symptoms, and get you back into a state of wellness and full functionality so you can do the things that you enjoy most. Our purpose and goal is to help your body function at its optimum ability by keeping your spine and extremities in alignment and mobile. Whether it takes one visit every two to three months or two times a week, adjustments will help with muscles, nerves and joint health function. Total Care Chiropractic believes in preventative natural approach to spinal and body health through chiropractic, massage, stretches exercises and nutritional health that you as a patient take control of yours. 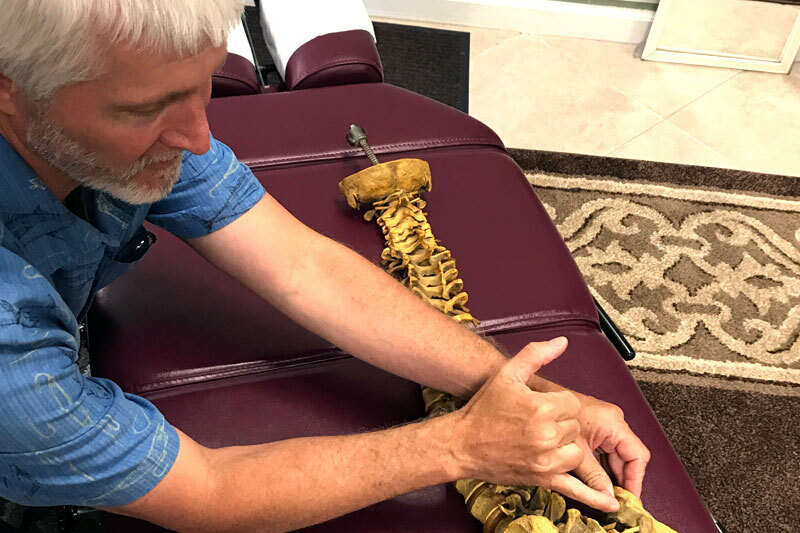 As a chiropractor, we understand that although our patients may be diagnosed with the same condition, they respond very differently to treatments. For this reason, we tailor a specific plan of action to meet your needs and physical condition. Chiropractic care focuses on the body’s skeletal structure and how well it functions. Keeping the spine in good health using different manipulations is the focus. Treatments will help alignment issues, improve structural functioning, alleviate pain, and in general keep the body healthy so it can heal itself. Electrical muscle stimulation contracts muscles. It is used to help athletes to recover and train more effectively. It is also often used to treat pain caused from illness or injury. It can also be used to stimulate and strengthen weak muscles after surgery or an injury. Therapeutic exercise is a program designed around an individual patient’s needs. It involves physical activity and exercises that treat musculoskeletal, neurologic and or cardiopulmonary conditions. During the rehabilitation process exercises are executed that will target specific muscle groups or body parts. The exercises and workouts are designed to bring the patient back to health after illness, surgery or other physical ailments. Ultrasound is a therapeutic tool that allows for examination and measurement inside the body. It helps with locating abnormalities in muscles, joints, tendons, and internal organs. Ultrasound therapy is used to treat inflammation from injuries and can provide deep heating of soft tissues. Below are some of the most common conditions we see patients suffering from. We have excellent success helping patients with these conditions. Flexible Appointments and Urgent Chiropractic Care. Call or Text to Book an Appointment Today!